This year, the EANM and Springer will bestow the EJNMMI Awards for outstanding articles published across the whole journal family during the EANM Annual Congress. 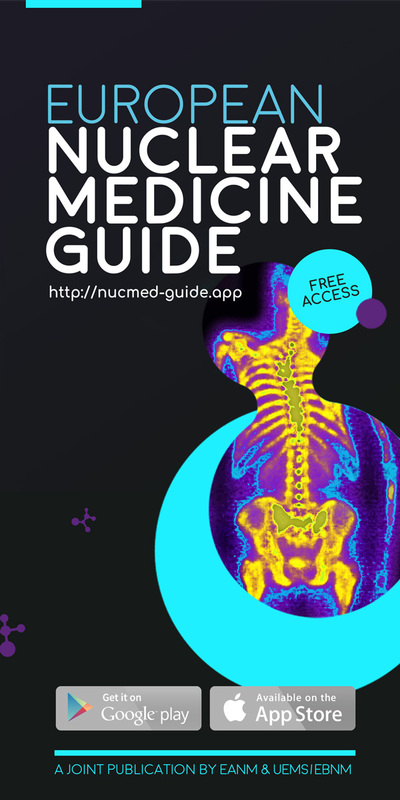 The European Journal of Nuclear Medicine and Molecular Imaging (EJNMMI) is the official journal of the EANM, dedicated to the exchange of clinical and scientific information for the nuclear medicine community and allied professions involved in the functional, metabolic and molecular investigation of disease. The EJNMMI journal family was constantly expanded over the last years and now also features dedicated publications for the areas of basic, translational and clinical research (EJNMMI Research), the development of new imaging and radionuclide based therapeutic agents (EJNMMI Radiopharmacy and Chemistry), applied physics, mathematics and imaging systems engineering/prototyping (EJNMMI Physics) as well as clinical research conducted with hybrid or multimodality imaging techniques (European Journal of Hybrid Imaging – The EJNMMI Multimodality Journal). Everyone who published a journal in the EJNMMI is eligible for this award. The winners will be notified by Springer during the summer months preceding the EANM Congress.